On Saturday, firefighters rescued a cougar that was stuck in a tree just outside a home in San Bernardino, California. The animal was about 50 feet up when the authorities were called by the homeowners. 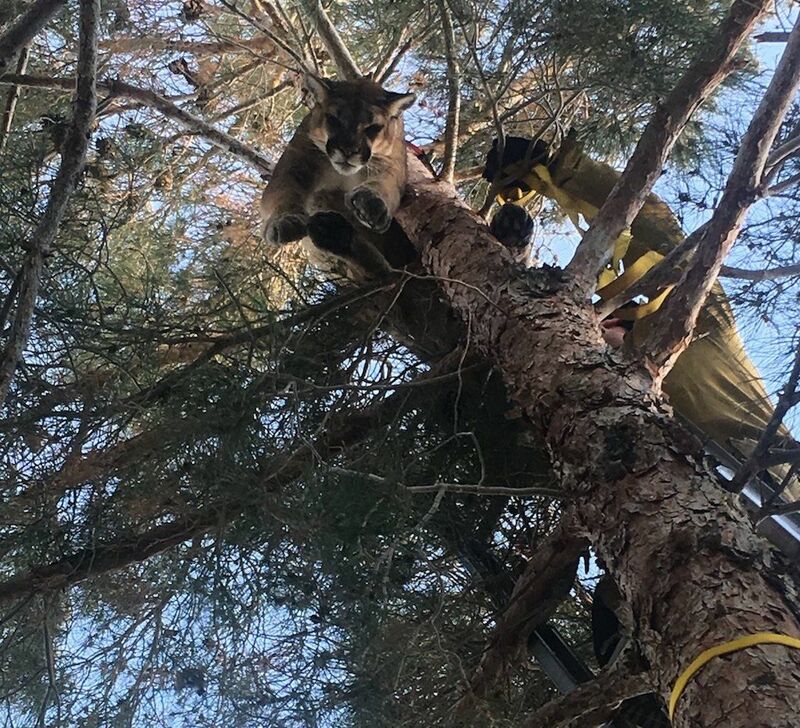 After securing the area, the San Bernardino County firefighters tranquilized the cougar and lowered it safely to the ground thanks to a harness. Once it was assessed by biologists for any injuries, the cougar was released back into the wild. According to Kevin Brennan, a biologist with the California Department of Fish and Wildlife (CDFW), “It is common for young mountain lions to wander outside what some would consider normal habitat in an attempt to establish their territory.” Cougar attacks on humans are very rare. According to statistics compiled by Colorado Parks and Wildlife, in over 100 years there have been fewer than a dozen human fatalities from mountain lion attacks in North America. 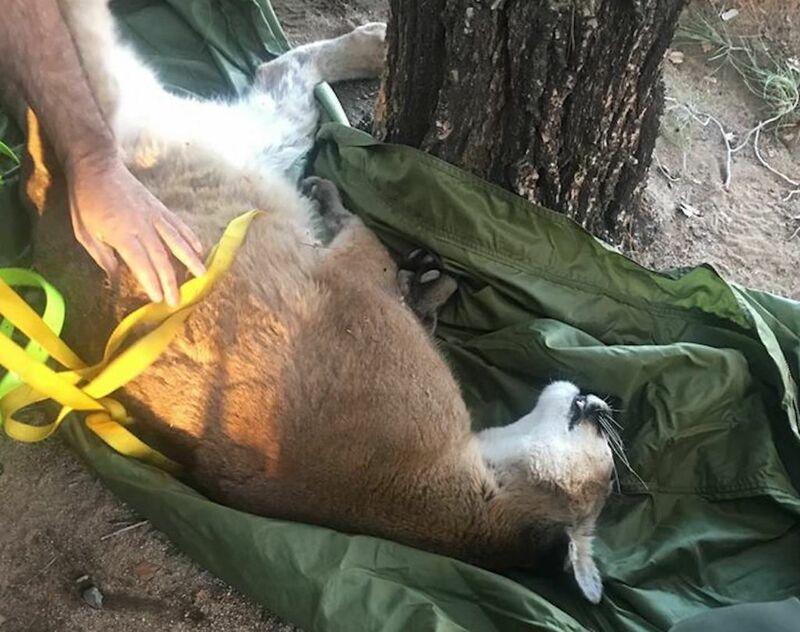 Earlier this month, a Colorado man staved off a potentially fatal mountain lion attack by strangling the animal with his bare hands.